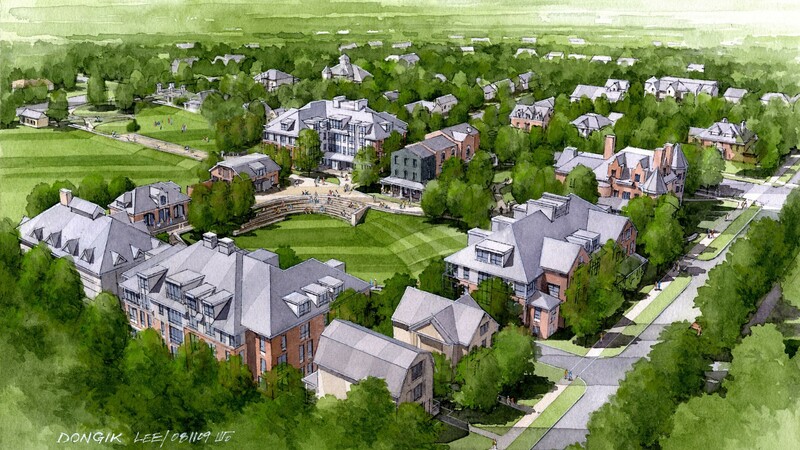 Working with the project architects and engineers, CRJA-IBI Group developed site designs for a 500-person residential neighborhood at Champlain College. The project features four new LEED-Gold certified residence halls with 370 new beds and amenities to promote campus residential life. 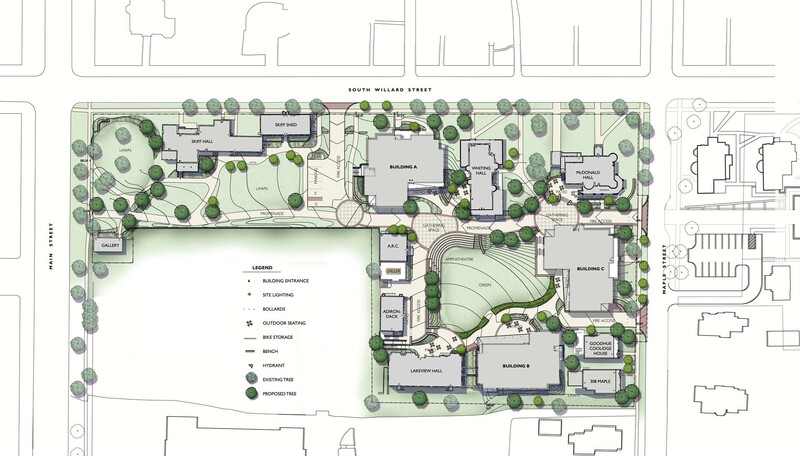 The new buildings are carefully scaled and placed to relate to existing historic buildings, provide a much-needed usable central green space, and create a major pedestrian spine linking the new neighborhood to the existing campus. The site design transforms an existing parking lot into a central green space for informal student use. Each building has its own inviting outdoor gathering space with views to the central green. A stepped amphitheater provides a protected, south-facing sunny spot for informal and programmed activities. The College’s commitment to sustainable design is reflected in the selection of paving materials, site lights, site improvements, furnishings and plantings. The challenges of the project included accommodating universal access for pedestrians and emergency vehicles on a site with a 25’ change in grade. Snow storage and storm water detention have been integrated into the overall site design, including a bioswale garden. The dorms opened to students for the Fall 2014 semester.